Sgt. 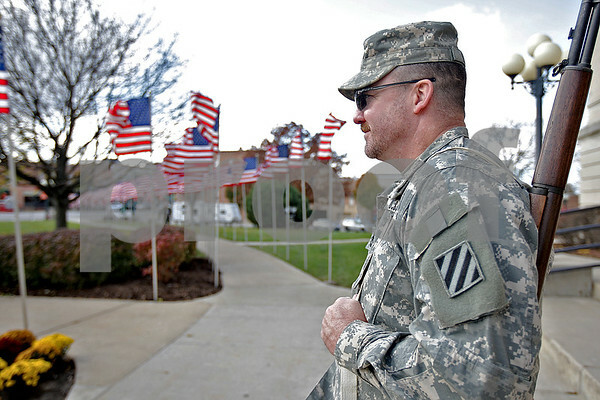 1st Class Mike Emmer, 48, a veteran of the United States Army keeps posted at the end of his hour-long shift in front of the DeKalb County Court House on Saturday, November 9, 2013. Veterans took turns keeping vigil from 6 p.m. Friday to 6 p.m. Saturday.